One of Aqua Blue Sport’s riders, Andy Fenn, has appealed for clarity around the payment of salaries from the team’s founder Rick Delaney and the last man named as its CEO, Tom Timmerman. 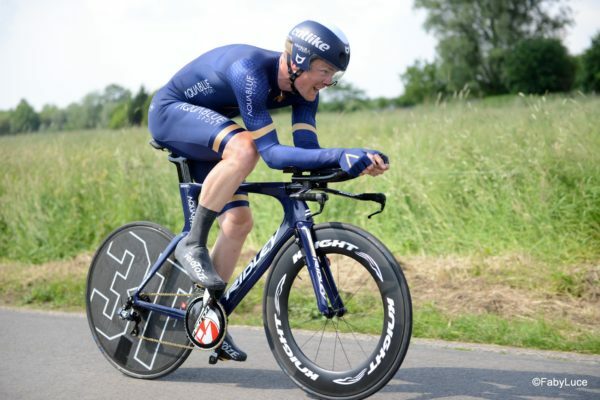 Aqua Blue Sport rider Andy Fenn has penned an open letter to team founder Rick Delaney and Tom Timmerman, previously named as its chief executive, seeking clarity around the payment of riders’ salaries. Fenn, a former WorldTour rider, has said in the letter to Delaney and Timmerman that his salary had not yet been paid for October. Andy Fenn has published “an open letter addressed to Rick Delaney and Tom Timmerman” on his Twitter account. However, with the team now defunct and its website and social media channels having disappeared, it is not immediately clear if the team or the Aqua Blue Sport online business continues to exist. And if it continues in some form, it was not immediately clear if its ownership has changed hands. 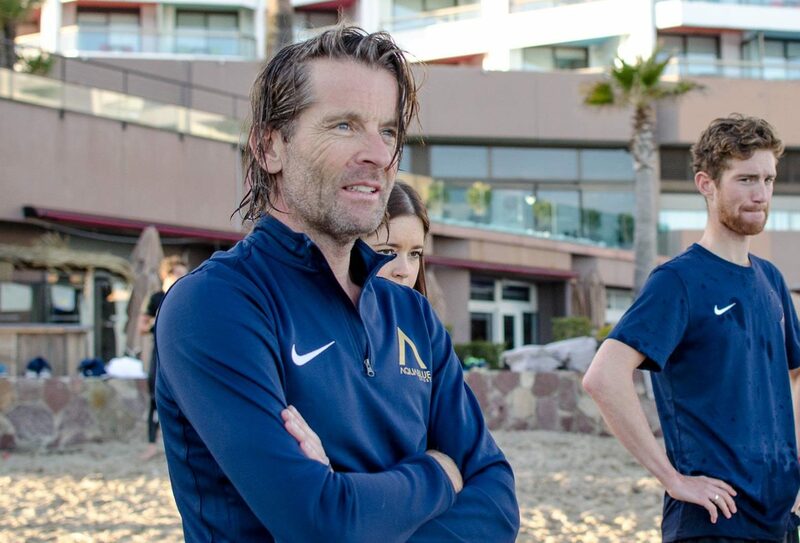 However, as Delaney was the team’s founder and Timmerman the named chief executive at the time of its collapse, Fenn has addressed his comments to both men. “I would just like to raise your attention to the fact that all Aqua Blue Sport riders’ salaries for the month of October have still not been received yet,” he alleged. He claimed the UCI had updated him on the current position with the team and payments due to the end of the year. “As it currently stands the UCI will not release any more funds from the bank guarantee that has been activated to pay the outstanding salaries and fees associated (with) Aqua Blue Sport,” he said. Rick Delaney founded the team and the online retail operation that was to fund it. But with the team now defunct and the online business no longer live online, the status or ownership of the operation is not clear. Fenn alleged the UCI had told him no further funds would be released until all the necessary paperwork was in place and clarification given regarding December salaries. He did not explain the reference to the December payments, though it may be linked to the team folding early in the season. All teams must place a significant fee, covering three months salaries, on deposit as a condition of being granted a UCI licence. This is done in order that salaries can be paid in the event any teams run into difficulties and/or collapse mid-season. Riders are usually contracted for periods of 12 months, meaning they would be paid to the end of a calendar year. In Aqua Blue Sport’s case, the team collapsed with immediate effect in August. The first payment due after the collapse has already been paid to the riders. However, Fenn has now voiced his frustration at what he says are delays with the next salary payment; for October. Under the UCI rules, a bank deposit of 25 per cent would cover three months pay roll. However, because Aqua Blue Sport collapsed in mid-August, four salary payments remained to be paid for 2018 when it folded. Team founder Rick Delaney insisted at the time of the team closure that the riders will be paid. Indeed, the bank deposit is in place and Fenn is complaining about delays with the payment, rather than the lack of payment. Delaney further said he would even pay riders’ salaries for next season, if required, for those who had contracts with Aqua Blue Sport for 2019. Indeed, in his open letter Fenn has acknowledged Delaney’s promise. But he has expressed frustration at what he sees are delays in being paid. Addressing Delaney directly in his open letter he says: “Rick, you have publicly said yourself that all our contracts will be honoured. A series of questions sent by stickybottle to a representative for Rick Delaney and Aqua Blue Sport had not been answered at the time of publication.